I have two daughters at our local public school in NSW. 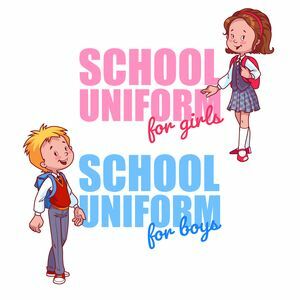 When I enrolled my first girl into school it didn’t occur to me that the girl’s uniform was a problem. The first time I thought the girls uniform was an issue was when my eldest was in kindergarten running in her first school cross country. At that time, and for some absurd reason that I also didn’t question, there was no sports uniform for children in years K-2. And so, on this unusually hot winter day, the younger children were running in their regular uniforms. My daughter was struggling and sweating up a hill in her over-sized tunic and woolen stockings. She could barely run. It was madness. As ridiculous as that scenario was I did not pursue anything with the school. My daughters never complained about the dresses they wore. It irked me that my acrobatic girls had to wear bike-shorts under their summer dresses to cartwheel and play, but my girls were happy, and so I was happy. I was also busy with the rest of life. Last year, a mother at the school told me how she argues with her daughter every morning during winter to get her to wear the woolen stockings. She also had an argument with the school principal when she asked if her daughter could just wear navy play tights. This incident made me think about all those little things that annoyed me about the girls’ uniform and how it was impacting the girls in the school. My girls were happy but others weren’t, girls who were sportier than mine, who just hated dresses, who found the stockings itchy, who were cold, and who were driving their parents crazy every morning. I realised the uniform was another of those small things we accept as women and girls and that perhaps I could do something about it. I wrote an email to the Uniform Shop Coordinator. It was short and to the point, and spoke about how girls like to run and jump and stay warm and wear clothes conducive to their playful lives. It also asked for advice. As I was not an active member of the P&C or aware of how schools make uniform decisions, I wanted her support, so that together, and along with the school and other parents, we could find a solution. A year later we now have pants as an option during the winter months. It made me realise that most parents are in favour of sensible choices for our children. It has been such an easy change and yet one that I think has an important impact on girls – that having choices is important and being instigators of change is important too.